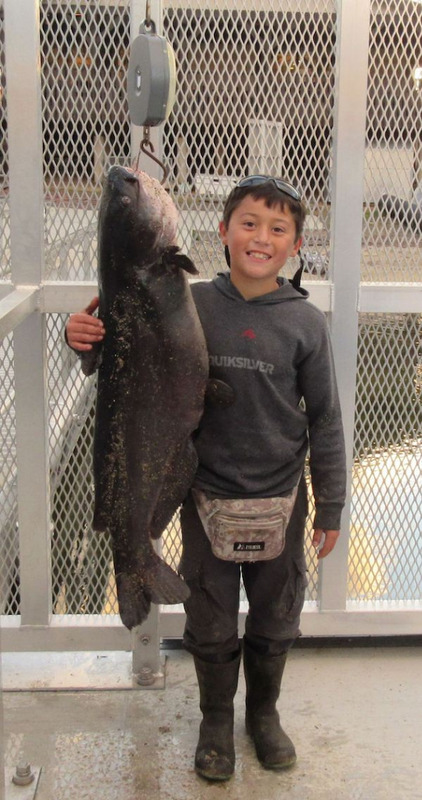 Kirk Aguon son pictured with his 35 pound Catfish that he caught and released. A gigantic catfish wins this week’s March Madness competition! The 35 pound behemoth was reeled in by Kirk Aguon after a good fight. Luckily he had tired out the fish because it snapped off right as he got it to shore. With quick thinking Kirk grabbed the fish with both hands before it could swim away. Kirk was fishing the North Shore right where the log boom comes ashore. After being weighed the monster was released back into the wild. (fish pictured with son Tristan). There were other big fish caught this week including a 4 pound 8 ounce bass hooked by James Hsien Thursday. He was fishing from the pier and using a plastic worm. Sunday, Erik Reynolds landed a 5 pound 9 ounce Tailwalker. He was fly fishing in Boulder Bay. 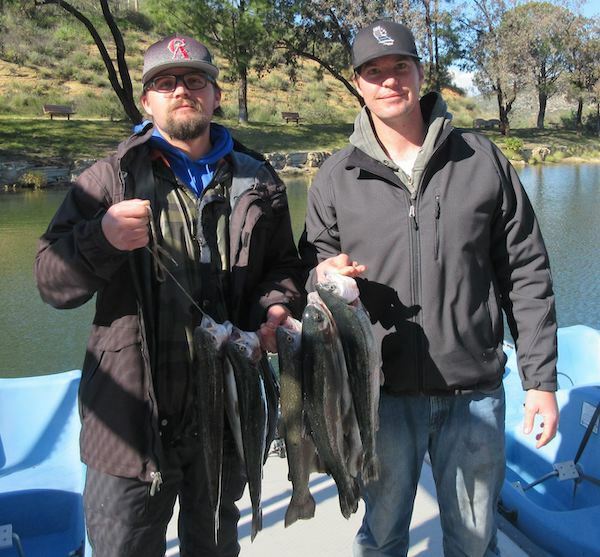 March Madness at Lake Poway continues through the end of the month with great prizes awarded for the biggest fish each week. Each week in March there will be prizes for the biggest fish of any type caught. The competition is open to all ages. Fish must be weighed and recorded at the boat dock. See our website for details. https://poway.org/401/Lake-Poway.